TAHOE/TRUCKEE, Calif. — JMA Ventures, LLC (“JMA”), owners of Lake Tahoe’s West Shore Café and Inn is pleased to announce the appointment of Mike Davis to the position of executive chef and Stacie Krenicki as the property’s new general manager. Both Davis and Krenicki were most recently at Martis Camp, a private community outside Truckee. Davis and Krenicki were integral behind the community’s first-rate service standards and food and beverage program for a number of years. Davis brings a diverse background in the culinary industry. Inspired by Julia Child, Davis started cooking in his teens, and went on to work for a variety of establishments. In the early stages of his career, he worked at The Village at Breckenridge in Colorado, before moving to The Lodge and Spa at Breckenridge under Executive Chef Kenneth Hughes, acquiring his first experience with European style and French technique. After a self-guided culinary tour up the West Coast, Davis went to Seattle, where he spent time honing his seafood skills at Axis, The Brooklyn Restaurant, and Waterfront Restaurant. The Dining Room, the fine dining restaurant in the four-star Salish Lodge and Spa, was his next stop. As executive chef, he focused his attention on working with organic and all-natural products, and created outstanding food pairings with one of the largest wine lists in the Northwest. He was awarded honors including the AAA 4 Diamond Award, the Mobil 3 Star Award, and the Wine Spectator Award of Excellence. In 2004, Davis opened his own restaurant, 26brix Restaurant and The Bar @ 26brix in Walla Walla, Wash. During a four-year span, the restaurant garnered national attention, including two invitations for Davis to cook at the prestigious James Beard House in New York City. In the spring of 2009, Davis joined the Heavy Restaurant Group in Seattle, opening three restaurants in nearby Bellevue, Wash., in just over a year. Following his time with Heavy Restaurant Group, Davis joined Joie de Vivre Hospitality to oversee the development of food service at the historic Oakland property, The Waterfront Hotel. As executive chef, Davis introduced “Southern-inspired cuisine,” creating a fusion of styles. 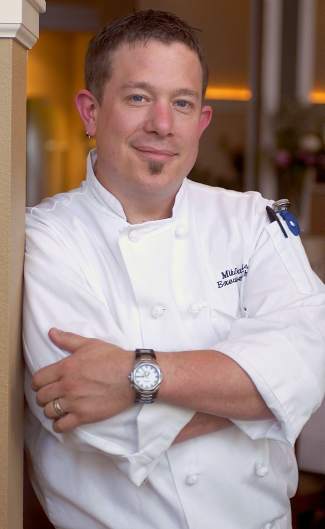 Craving a return to the mountains, Davis took an executive chef position at Martis Camp. At West Shore Café and Inn, Davis is excited to re-focus the menu, offering lighter takes on comfort classics as well as expanding the restaurant’s seafood offerings. Davis is also toying with infusing flavors from New Orleans, where he spent most of his formative years. New General Manger Stacie Krenicki will assume all service responsibilities at the property. With a strong special events and catering background, Krenicki will bring a high-service mentality to the West Shore Café and Inn. A Tahoe resident for 16 years, Krenicki is a proven leader with impeccable standards. Most recently, she served as the special events director at Martis Camp and was the lead organizer on all member events, banquets and weddings, which totaled more than 200 annually. Krenicki developed and refined her leadership and management skills at The Resort at Squaw Creek as the general manager of Ristorante Montagna, before being promoted to senior operations manager at The Resort at Squaw Creek in 2002. Next she moved to the Tahoe Mountain Club as special events planning and sales manager. Krenicki then worked as the director of catering at D’Lish Catering, where she was responsible for booking, planning and executing all events. The West Shore Café & Inn is located at 5160 West Lake Blvd., in Homewood. For additional information call 530-525-5200 or visit http://www.WestShoreCafe.com.